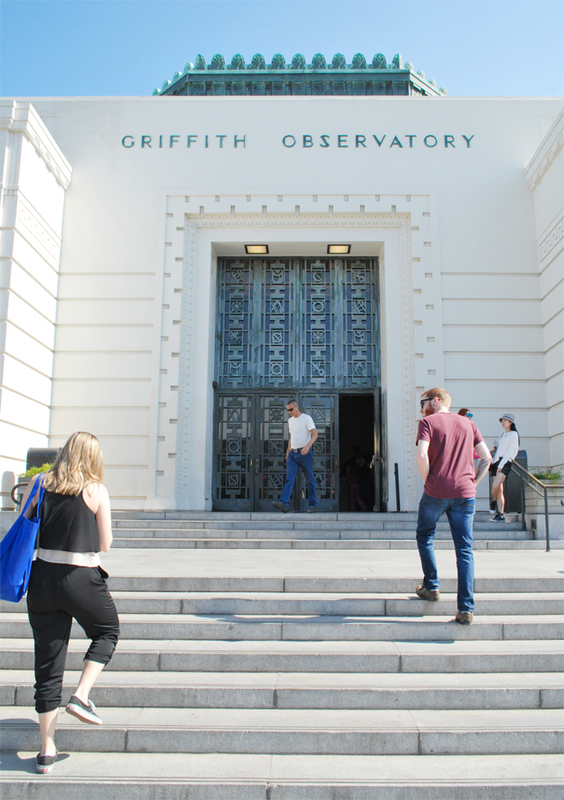 On Saturday Daniel, Chelsea and I ventured to Los Angeles for a visit to the Griffith Observatory, a LA landmark we’ve been wanting to visit for quite a while. 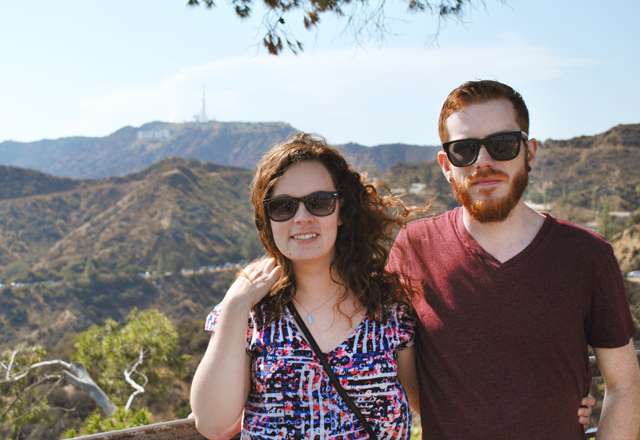 Chelsea only has a couple of weekends left in California, so we’re checking off all of those last places on the list that we can! 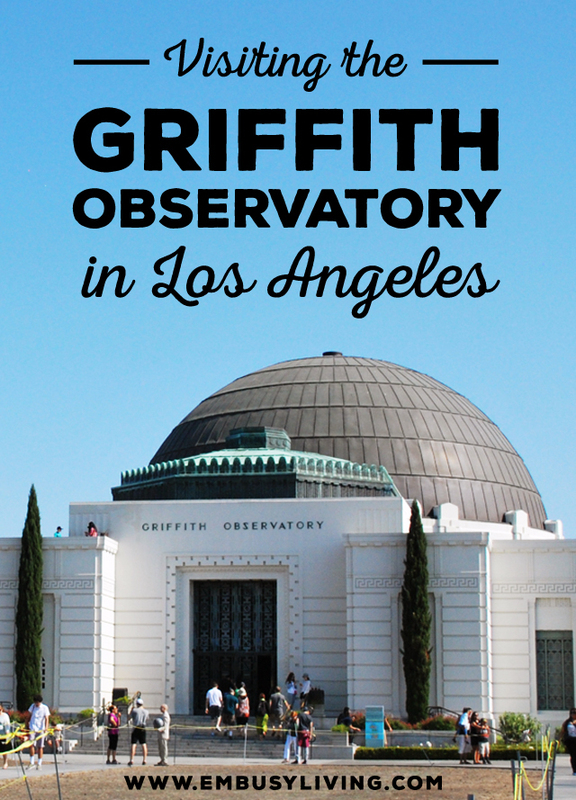 We’ve planned to visit the Observatory multiple times but it has always been really overcast or surprisingly raining, and the whole point is to see the view, right? Saturday was beautiful; it was the perfect day to make the trip. We exited the 101 around Silver Lake and drove around a bit, just checking out the neighborhood we’ve heard so much about. (It’s cited as one of the best hipster neighborhoods in LA, but I think we went through the wrong area; we were disappointed.) 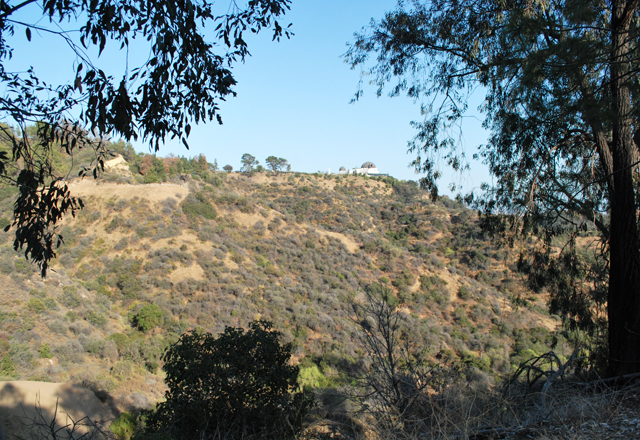 Through a series of turns through several residential neighborhoods, we ended up on Vermont Avenue heading north towards Griffith Park. 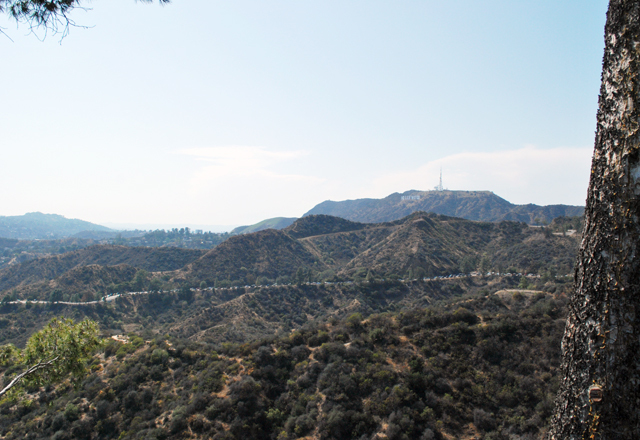 A friend warned me that we would probably have to walk quite a ways to visit the Observatory because of the parking situation, but the walk couldn’t be so bad from the parking area, right? Wrong. The actual parking area for the Observatory isn’t all that large and had filled up long before we arrived. We followed a long line of traffic through various curves along the mountainside until we found a place to parallel park along the edge of the road, probably around a mile away from the actual parking lot. We had quite a little hike ahead of us. Luckily, it wasn’t a hard walk and the elevation wasn’t noticeably rising until we reached the sidewalk near the entrance. Either way, be prepared to walk quite a distance to get there and wear good walking shoes; the only pathway was dirt and full of roots. When leaving we continued heading south instead of turning around and going out the way we came. This brought us to the bottom of the valley to a large parking lot the Fern Dell Picnic Area. 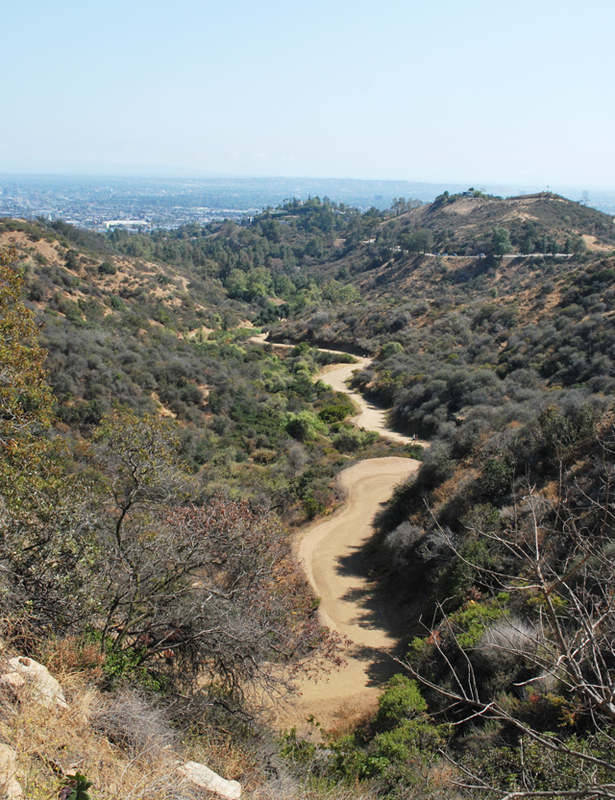 We’d seen a lot of hikers down below in the valley from up above, and it seems that people who want more of a challenge to reach the Observatory park here and walk up through various dirt paths. 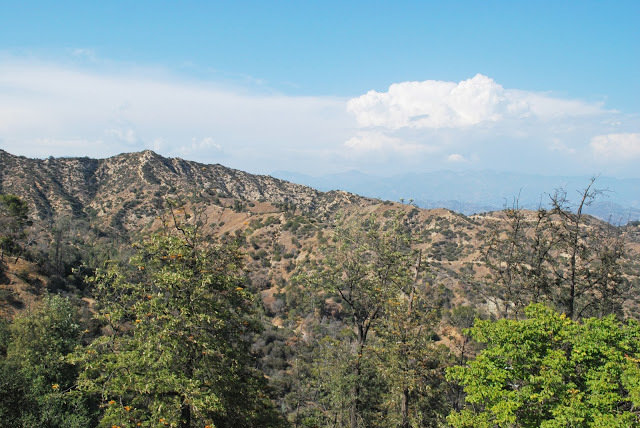 Modern Hiker has a great post about this very hike, should anyone be interested. 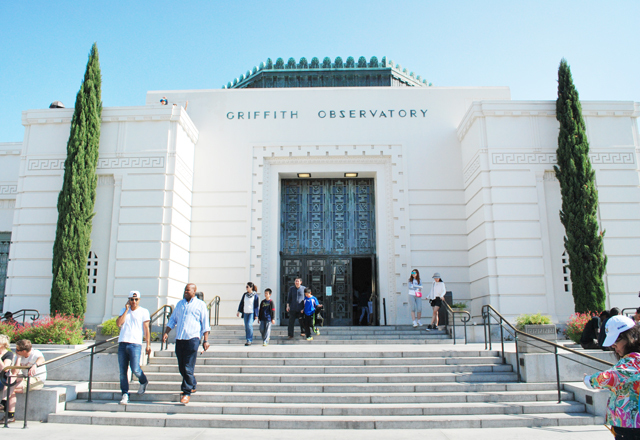 The Observatory itself is free to visit and offered some of the best views I’ve had of Downtown LA, Hollywood, the Hollywood Sign, and the rest of the surrounding area. 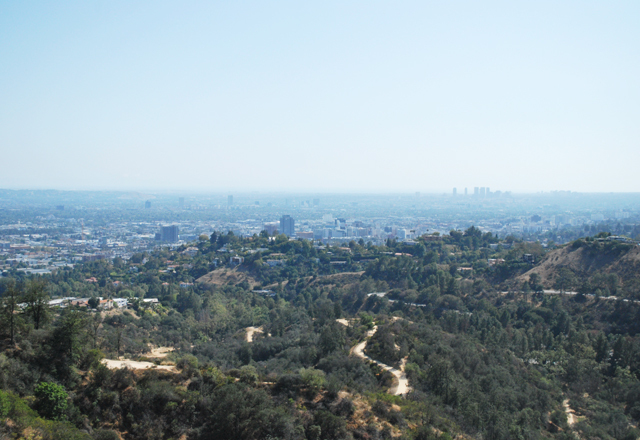 We could see all the way west to Santa Monica and the ocean and as far south as Redondo Beach! We snapped several photos outside and then headed inside to see some of the exhibits. There were several galleries on two floors offering information about the telescopes used to look into space, the history of astronomy, actual meteorites, information about each planet in our solar system, and videos and photos of our galaxy, sun, stars, and planets. Each exhibit was well done and very informative, although Dan said it reminded him much of an elementary school visit to the science center. (We aren’t all science buffs like Dan, though! haha) The place was full of families and people of all ages and the kids there were especially excited to push buttons and look through telescopes. 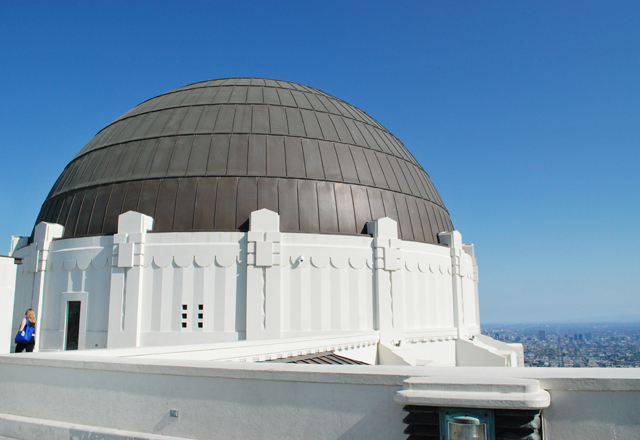 Various terraces offer exceptional views, including the roof, where you can have a peek inside of the dome housing the Zeiss telescope. 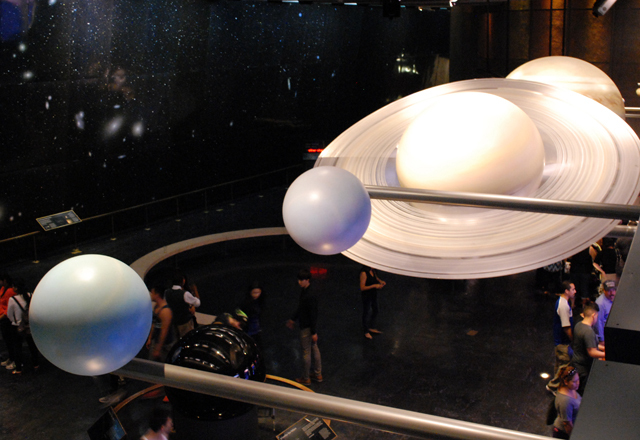 There are currently three shows going on in the planetarium, but it seems they change those out every once in a while. We wanted to purchase tickets to attend one of them, but had finished checking everything out with an hour to spare before the next show. They open the box office in phases, selling tickets to the shows at three times throughout the day. Tickets for the 6:45pm shows and later did not go on sale until 6pm, and people started lining up to purchase them at 5:30. We gave up our spot in line and decided to head west to Santa Monica for dinner instead of hanging around so long to wait, though I’ve heard from friends that the shows are worth the time. 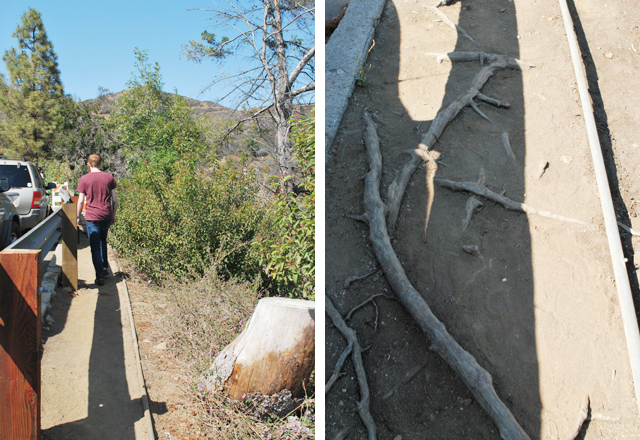 Be prepared to walk up to a mile, slightly uphill on a dirt path. Handicapped parking available. 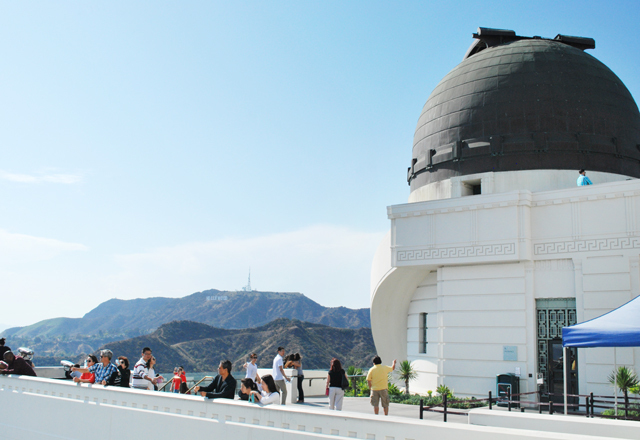 The Hollywood Sign Shuttle operates on weekends for a fee and makes a stop at the Observatory. YAY! Girl. 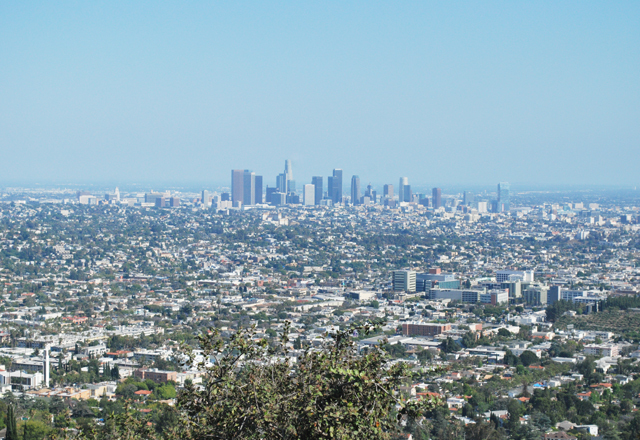 We are going to LA and I really want to go here! Thanks for the tips! Awesome!! I’m glad they helped! I have lots of LA (and OC) recs here. I love knowing my tips help! ?